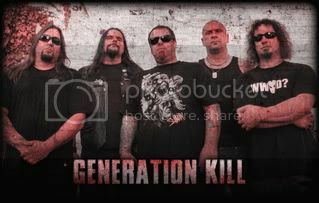 KNAC.COM - News - EXODUS Frontman Leads To The Next GENERATION KILL! EXODUS Frontman Leads To The Next GENERATION KILL! 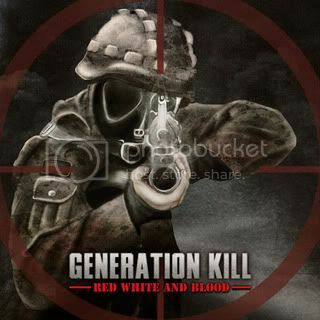 GENERATION KILL, the crossover metal outfit featuring (EXODUS) frontman Rob Dukes, have named their debut album Red, White And Blood and will unleash this thrashing beast on next September 16th in Europe (September 27th in North America) via Season Of Mist. A digital single containing the Debut CD's title track "Red White And Blood" and a cover of the NINE INCH NAILS classic 'Wish' is available now via iTunes. Red, White And Blood was recorded at J. Rod Production Studios in New City, New York (where the vocal tracks for EXODUS' Let There Be Blood and OVERKILL's Ironbound were previously laid down). Commented the writing team of Rob Dukes and Rob Moschetti (bass, backing vocals): "This release is the most diverse project that either of the two of us been a part of. This is an honest, no-holds-barred album containing various styles of music. In a way, it is a bit of a selfish record. We wrote the kind of material that we like. You can't please everybody, so you might as well please yourself. Honestly, that's what true art is. Freedom of expression." The song "Red White And Blood" is available for streaming on the band's Facebook page.